The lotus is a purist. A full body form with clean lines and traditional style. A timeless addition to any space. 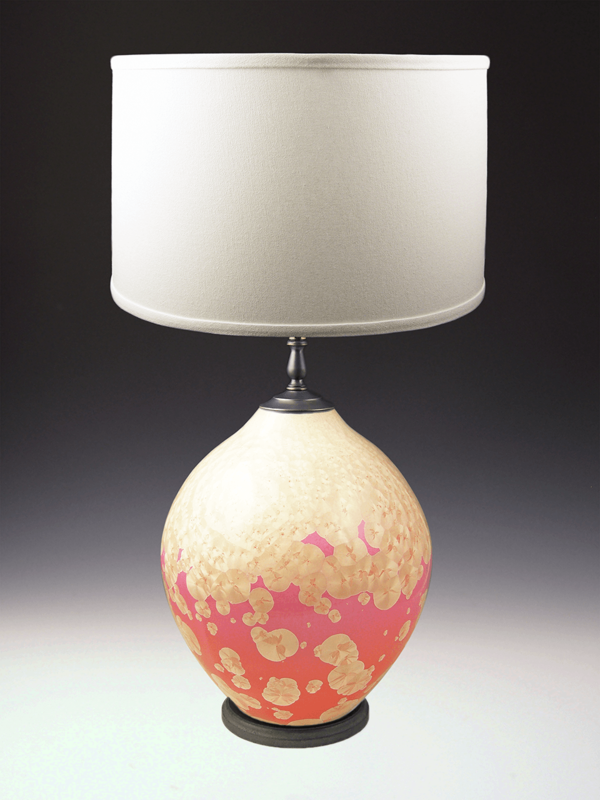 Creating each lamp by hand from high fire porcelain china clay, our ceramic lamp forms are bisque fired, glazed, and fired again to 2300 degrees making our lamps extremely strong and durable. We mix and formulate all of our unique crystalline glazes. The crystals (or bubbly patterns) seed and grow during the firing process inside the kiln. 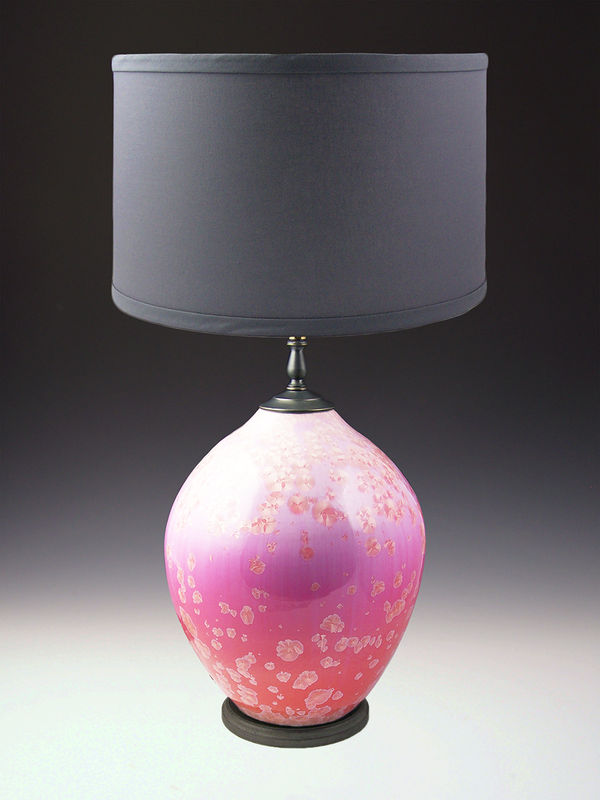 We don’t paint bubble patterns on or throw anything into the kiln to get that effect. It’s all just in the chemistry of the glaze. Because this magic happens in the kiln, each piece will have slight variations in size, number, and placement of the crystals. Which is cool…because every piece has its own charm! The bottom of our lamps is a hand turned wood base. The wood gives the lamp base a softness and is easy on resting surfaces. The oxidized metal accents are hand finished fitting each design. We use only the best quality lamp sockets and parts in our lamps so they will shine on for years to come. 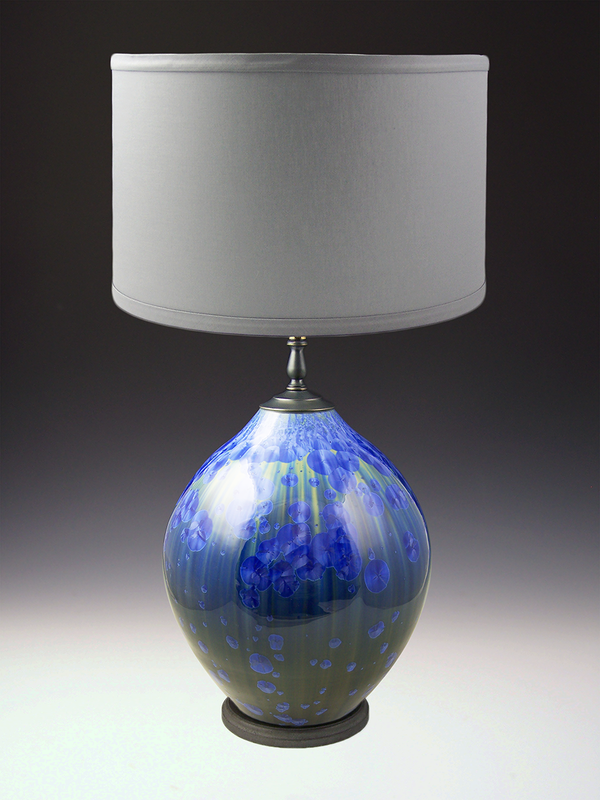 Our custom designer linen lamp shades are proudly made in the USA.